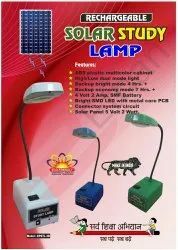 Pioneers in the industry, we offer ac dc inverter bulb-led, 6 w, dc study lamp, dc rechargeable fan, solar rechargable study lamp led and solar dc rechargeable fan (portable) from India. 6 WATTS RECHARGEABLE LED AC/DCINVERTER BULB WITH INBUILT BATTERY, BULB GLOWS AUTOMATICALLY WHEN POWER IS GONE. Features: This bulb can be used as a normal bulb or as an Inverter Bulb. It has got an inbuilt rechargeable battery.